Empowering you to better understand and explain individual fund and manager impact on overall portfolio dynamics, whether you are an investor looking to optimize your portfolio allocation and exposure strategy or an asset manager aiming to better understand how your products fit into client portfolios. Create asset allocations and analyze efficient portfolios along frontiers, construct and optimize custom portfolios, and monitor portfolio performance over time. Choose from multiple models, including mean-variance optimization, Black-Litterman, downside risk optimization, mean-benchmark tracking optimization. Achieve greater insights leveraging Calibrated Frontiers, MPI’s proprietary resampling approach. Identify results that are generated by asset allocation and portfolio optimizations leveraging MPI’s patented Frontier Map™ functionality. Optimize based on expected return, alpha, fund score or other provided factors. 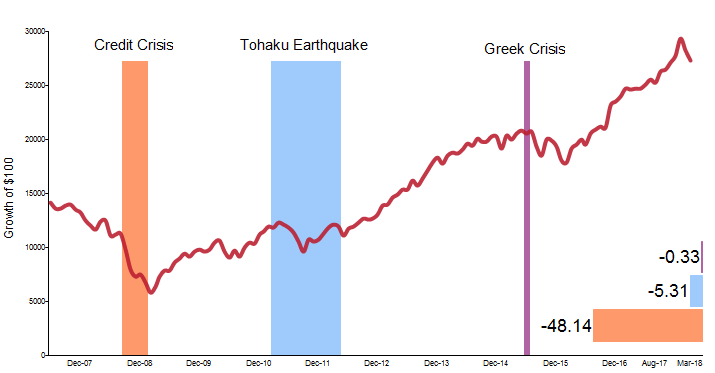 Perform historical regime analysis, stress testing, and scenario analysis, or “what-if” shocks. Extend historical analysis for shorter-lived products and portfolios through the use of proxies. 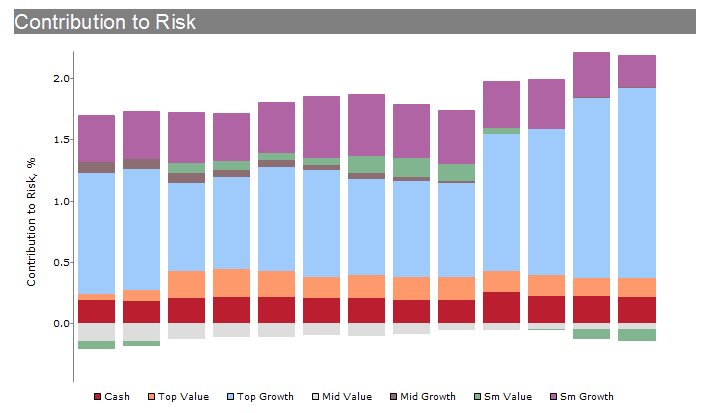 Analyze risk and performance in different regimes or market shocks. Select from up to 30 MPI-created regime models or create your own. Use proxies to perform more comprehensive analysis on shorter-lived products and portfolios. Accurately identify risk factors across individual managers or products, monitor changes in those exposures over time, and flag issues requiring further scrutiny more quickly than if relying solely on holdings-based systems. Calculate style, selection and investment risk relative to a specified benchmark. Generate a full range of MPT statistics including alpha, beta, Sharpe ratio, and t-stat. Leverage hundreds of analytical statistics for measuring the performance of individual investment managers and products within your portfolio. Create custom analytics, including manager ratings and scorecards, and construct and optimize portfolios based on user-defined metrics. Calculate manager return components by security selection, timing and excess return, and asset type. 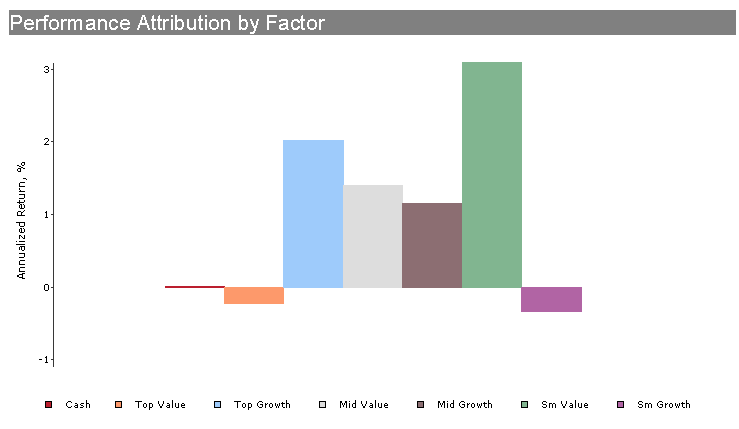 Generate a style index that is in-phase with portfolio and benchmark return series. Evaluate risk-adjusted performance and significance of component return. Rank all measures within a specified peer group. MPI’s portfolio reporting solutions enable you to easily visualize and compare portfolio level and individual fund level data side-by-side, giving you more ways to analyze, isolate and report on diversification and exposure levels to assess portfolio dynamics. Develop custom charts, statistics and reporting templates to meet your specific reporting requirements. Unparalleled software flexibility enables you to produce more dynamic, informative reports highlighting almost any characteristic you choose. Leverage our optional automation package to streamline your reporting and publishing process, saving time and reducing costs. Learn how MPI Stylus solutions can help to improve your portfolio analysis capabilities.